Names, naming patterns, first names, surnames, place names, traditional names…etc etc etc. If you don’t learn more and uncover the meaning behind names, then chances are you will miss out on finding one or two (probably more) of those elusive ancestors. Because there was really no standardized education until the early 1900’s, most people in the UK did not know how to spell their name…and they didn’t really need to either. So finding a surname spelled four or five different ways is the NORM in genealogical research. Don’t ever think that the Robert Smythe you find in the records is NOT your Robert Smith…if you do, you’re on the road to major research flaws and many errors in your family tree. Add to this the thick Scottish or English accents that some surnames were pronounced in and you will have even stranger phonetic spellings! Imagine your ancestor arriving in Port Phillip in the 1800’s and stating his name as Benjamin Postlethwaite…and the scribe or immigration agent writing “Postlet” as the surname because he couldn’t imagine how to really spell it, and couldn’t care! 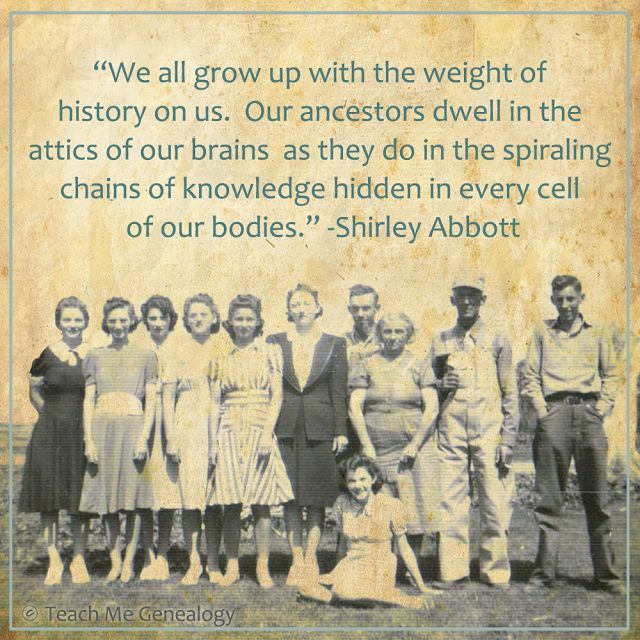 There is so much to names that I encourage you to learn more about your own and the ancestors you are researching. Learning and accepting the incredible variations and derivations of names will assuredly help you with your genealogical research. If you want a short course that teaches you all you need to know, check out the “Understanding Names in Genealogy” course offered by the National Institute of Genealogical Studies. It is an incredibly detailed course about all things to do with names and will amazed at the amount of knowledge you will gain from it. Newspapers are perhaps the most underutilized genealogical resource of the day. I don’t know how often I have been unable to either locate or confirm the correct death record (without having to order ten or more for a client) yet have then found an obituary or a death notice in the newspapers, giving me the correct year so I could order the relevant record. Or the amount of times I have lost an ancestor for many years, yet a search of the newspapers uncovers what he/she was doing. Do not underestimate the incredible information you can get from newspapers; they are invaluable gems. 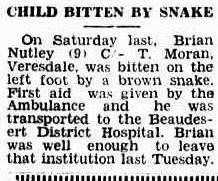 So recently, my own local rag went online on TROVE; the Beaudesert Times. The years 1908-1954 have been digitised, and so I thought…why not take a look and search for the name “Nutley”…see what comes up? 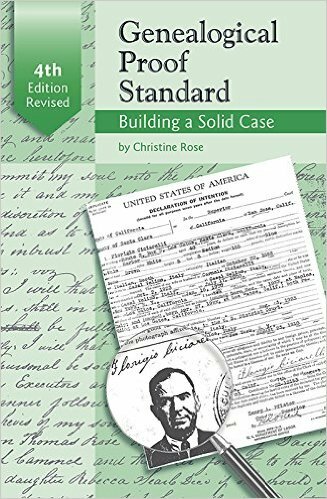 Many genealogists and budding family historians, only interested in pursuing their own family tree, have never heard of the Genealogical Proof Standard (GPS); and as professionals we need to change this. Not only are genealogical standards important as a reference when working for a client, they are equally important when doing our own family history research. If you believe that you have the correct details of birth for your ancestor named “John Lewis” from Swansea in Glamorgan, Wales, because his birth record (which you ordered) has the right age on it, and the right father’s name…AND…you have only this one record…then you are at a seriously high risk of tracing the wrong Lewis line; in fact I would put the percentage as high as 95%! So how would you feel if you had done 5-10 years of research on your Lewis line, tracing it back to perhaps the 17th century, will all manner of cousins and others in between…only to find that you had been investigating the wrong ancestors? You would feel deflated and more. Yet this is a mistake that thousands, if not more, have made and keep making…because they do not adhere to any kind of standards. And these standards are not here just for the professional as I said, but even more so for you as the lone researcher in your family, to ensure you go down the most accurate path possible. Is it fool proof? No, definitely not when we are dealing with records that are hundreds of years old, with variations in the spelling of a surname from one document to the next, and with potential to be completely incorrect if our ancestors were lying. However…if what you are researching and the documents you uncover are relevant to your ancestors, then the GPS will be the only thing that will keep you from researching the wrong person, line, family, occupation, passenger record, whatever! Basically, if it doesn’t meet the standards then you don’t keep going until it does. Yes, this might mean you can only trace the Lewis family back to the 1841 census; for now. But better to have traced back to 1841 with accuracy then to trace back to 1741 without verification. If you are like me, and I would say that many of you are, then you want to pass down your family tree and all your research to your own descendants, or you want to publish it perhaps…and therefore you would be just as keen as I am to have made sure it was done right. This 22 minute video by Christine Rose on the GPS is invaluable…as is her book, now in its 4th edition. 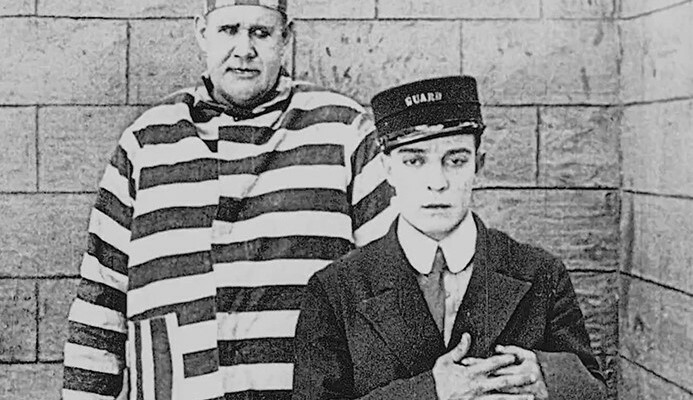 It’s interesting to read about the crimes committed in the past by ancestors; some so strange and others you don’t even want to ponder. But among these are the many that found our ancestors on Australian shores for 7 years or more; such as stealing a shirt, breaking and entering, machine breaking and even poor morality. Find My Past has some of the best criminal records online which give details beyond expectation. Where would we be without these incredible records? Indeed, one could not trace back through the generations so succinctly if these ever important registers had not been so thoughtfully preserved, and now made readily available. But woe is to me! Or to any amateur or professional who comes to trace a parish where they have not survived! Sadly, quite a few are not around today…their old pages not here for us to peruse, search, and enjoy…many hundreds of years since their inception. Normally when we discover that the parish registers from the certain parish we are exploring, are missing; our thoughts don’t really extend to “why” they are missing. Have you ever wondered why there are gaps? Does your mind usually give your an answer like “they haven’t been transcribed yet” or “they are too old and have weathered away”, or maybe you haven’t really given it much thought. One of my favourite books in my E-library is an old one from 1898, written by T.F. Thiselton Dyer, called “Old English social life as told by the Parish Register”. Besides the incredible and undeniably interesting information this books tells us about social life in old English villages during the 16th century and up to the 19th century, it also gives us a little insight into the way that parish registers were kept, and indeed their upkeep! Following is an excerpt from the book which I know you will find fascinating to say the least. Indeed, it must ever be a source of deep regret to the historian and antiquary that such precious document should have been for so many years the objects of careless indifference, their safe-keeping only too frequently having been committed either to an ignorant parish clerk, or to an apathetic person. Hence we find repeated notices of the mutilation and partial destruction of registers, the result in most cases of neglect. Mr. Bigland, in writing on the subject mentions his having to consult a register and his surprise when directed to the cottage of a poor labouring man, as clerk of the parish, where he found the document in the drawer of an old table, amongst a lot of rubbish. In a Northamptonshire parish, an old parchment register was discovered in a cottage, some of the pages of which were tacked together as a covering for the tester of a bedstead. And in another parish the clerk, being a tailor, in order to supply himself with measures had cut out more than sixteen leaves of the old register. In an Essex parish, the clerk not having any ink or paper to make an extract for an applicant, observed, ‘Oh, you may as well have the leaf as it is,’ and, taking out a pocket-knife, he gave the applicant the entire two pages. It is also on record that an enterprising grocer, being clerk of the parish, found the register invaluable for wrapping up his grocery commodities; and it is told how a curate’s wife used the leaves of the parish register for making her husband’s kettle-holders. A member of the Harleian Society tells a curious story of the Blythburgh registers. It appears that when Suckling wrote his Suffolk History, the Blythburgh Church chest was filled with important deeds, and the registers were nearly perfect. Now only a few leaves remain of the register prior to the year 1700. The report is that a former clerk, in showing this fine old church to visitors, presented those curious in old papers and autographs with a leaf from the register, or some other document, as a memento of the visit. Amongst some of the further disasters that have befallen these ill-used records, we may allude to their being occasionally sold as waste-paper, their destruction by fire at the parson’s residence, and their complete loss through being stolen. In a curious work by Francis Sadler (1738,p. 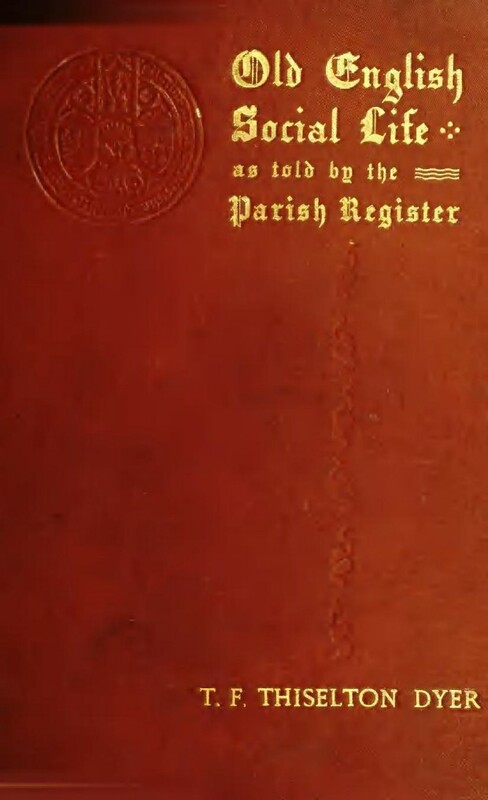 54), entitled ‘Exactions of Parish Fees discovered’, it is recorded how one Philips, late clerk of Lambeth, ran away with the register-book, whereby the parish became great sufferers, for no person born in the parish could have a transcript of the register to prove himself heir to an estate. Incredible is it not? And these are just a few of the stories told; others include instances of parish registers being thrown into the fire by an irate spouse, being used as wrapping paper by students in the parish school, and yet another being cut by the parson into labels which he sent to his friends as a game. As genealogists and researchers this information is vital to remember when we are searching through the old parish registers; never think, or shall I say “assume” that because you cannot find an ancestor in the parish you believe him to have lived (or its surrounds) that he did not in fact live there. More often than not he/she probably did, but the record has simply not survived the many traps and pitfalls of the day. fire, tempest, burglary, theft, damp, mildew, careless or malicious injury, criminal erasure and interpolation, loss, and all the other various accidents which have been surely but gradually bringing about the destruction of these registers are still in active operation“. Let’s be thankful this isn’t true for the registers today! Can you remember being 15? Where were you born – I was born in the West Indies on an island called Curacao. When did you migrate to Australia – I was only three, so it would have been 1951. Both my parents were Dutch and my older sister Liz was born in Holland. My father got a job with the West Indian Airlines; he left first then my mother followed a couple of months later. Why did you come to Australia – Someone told my father there were wonderful opportunities here. Then they got here and there were no jobs at all. All they could get was shovelling sugar into sacks in Gin Gin. They lived in Gin Gin for quite a while with people who owned a cane farm. And it was hopeless; they couldn’t talk a word of English and had no money. Can you describe a memory of a typical school day when you were fifteen – I was in Grade 10, which is very similar to what it is now. With a lot less kids I suppose. I went to Bundy High. I rode my bike to school from out past the aerodrome; we lived on a farm in those days – a pineapple farm. Mum used to ride to town every day on the bike. I suppose we left at 7:30; it didn’t take long, maybe half an hour to three quarters of an hour. What sort of technology was available to everyone when you were fifteen – Typewriters were in then, but not computers. No calculators either. Blow dryers weren’t in then; we just had the ordinary plastic cap thing that you stick over your head. I don’t think my mum had a vacuum cleaner. When I was fifteen we used to have a bath with a bucket of hot water. Is there anything else that you think has dramatically changed since you were fifteen – Technology is really different. The kids are allowed to do a lot more and are doing a lot more. They’re allowed to go out much younger than we used to. They’re living by themselves a lot younger. Fifteen year olds are much more worldly today and they are also much more educated. Home life is basically the same. But with cars…kids today get a car when they turn seventeen. We never did, we rode a pushbike until we were twenty. Then if we were lucky and we had enough money, we’d get a car. How was your experience of being fifteen different to the experience of fifteen year olds now – Being fifteen then, I think, was a luxury. During the years that I was born and the years that I lived between 1920 and 1940 it was a very, very hard place to live in, in Australia. There was a depression and no one had any money especially the working people. The only people with money were the people who had jobs like doctors or dentists or something like that. They were lucky to get paid because nobody had any money. Describe a typical day at school when you were 15 – I wasn’t good at school, I left when I was 13 with all my certificates…then I carried what they called a bluey which was a sack on your back and I went looking for a job around Victoria. We walked everywhere. 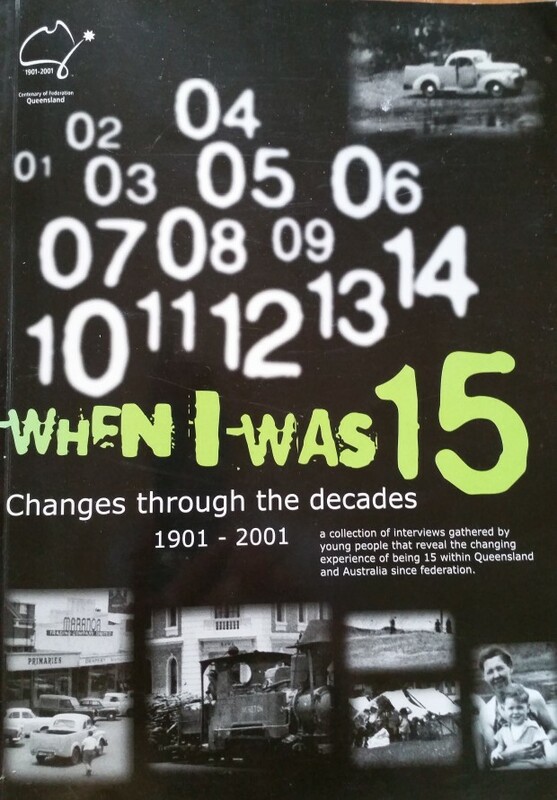 What were the work opportunities available to you at 15 – Well, there was no work at all. I did get a job dragging wheat bags to the wharf – chasing mice off the wheat trucks and getting them into the water; I was 13 at that stage. What was social life like – Social life, I didn’t have any. I had four sisters; three were older than myself. I used to go with them to a dance of a night – they taught me how to dance. I walked home with them ’cause they weren’t allowed boyfriends. They were girls of sixteen – seventeen years of age. I don’t think there were limitations. If you wanted to do things you could as long as it was respectable and up to 15 years of age I went to Sunday school. What were your hopes and fears at the age of 15 – My hope was to get into a business, which I did so when I was about 30/31. I feared that I wouldn’t get much food. I’m not kidding either. Everybody had visions those days, but there was no use having vision, as there was nothing to have vision with. Everything seemed at that stage of life that you were just a number. The war was a big influence in my life because that was when things started to open up a little bit and you could move around a bit because you had somewhere to go. I joined up with the Air Force and I was working as a top executive at the woolen mill and we were making army uniforms and that ‘s why I had to stay. I stayed in that woolen mill until 1945 and then I decided to get out into business (scrap metal) on my own. My ambition was high when I was young but only started to materialize after the war when things were different. The war generated a lot of work, people who never had a job prior to the war finished up working. Mind you they were lowly sorts of jobs…very lowly paid. Source: Apelt, Clare. 2001. When I Was 15. ƠBrisbaneŒ: PCYC Queensland. Amazing documents that actually show your ancestors names, whether on a census image, a Will, a war record, or even a gaol photo with description. We can sometimes find literally hundreds of documents like this, pages and pages of your family’s story from generations ago that will have you enthralled for hours on end. All of these will eventually become a legacy for your own descendants, and a story you can add to and enhance at any time in the future. Professionally designed folders with all your family lines laid out in Paternal and Maternal order; with each document in a silver lined plastic sleeve and labelled for ease of reading and searching. Each family line is sectioned off with professional colour opaque dividers and the folders include an index on each section. Included in the folders is a section titled Genealogical Reports; these reports are quite fascinating to read. They will usually list each and every member of your family tree in alphabetical order, showcasing the specific intentions of that reports concept. For example, one of my favourite reports in this section is the Place Report. Indeed, many of my past clients have taken this report on their travels in order to stand in the same street that their ancestors lived, or to search for the old unmarked grave of their 5th great grandfather, and even to walk down the aisle of the old parish church where their great grandparents were married. These reports are truly invaluable. And perhaps the most sought after; the wall chart. Whether an ancestor chart, or a descendant chart, nothing prepares you for the visual impact of seeing your name and the names of those gone before us, in full colour on the wall. It’s almost as though looking at their name long enough will conjur up a memory, or story, or an image that you read about, heard or imagined. Although it takes maybe hundred of hours and many documents later to gain the details needed for an ancestor chart; clients always state how much they love walking past and stopping to look at it, or unrolling it and studying it again. “Crime and poverty were inseparably associated and most of the young who suffered gaol sentences were victims of poverty; wholly uncared for by family, church or state“. How true. The young chap I have been getting to know through convict and criminal records from both England and Tasmania, was definitely a victim of this most atrocious crime called Poverty. He lost his mother at 5 then his father remarried and he immediately gained another 3 siblings…then his new step mother had another 4 children to his father…bringing the total of kids in the house to 12. Were they all competing for love and attention from his father and their mother? Of course…all children want are love and attention. Yet at the same time, in Preston, Lancashire, things were changing economically and socially. Masses of people were migrating to growing cities such as Preston, all because of the revolutions changing how jobs were done and so many thought the cities held a better chance of making a living. While young Abraham was needing love and nurturing, his father was most likely being told that his hours as a weaver were being reduced, therefore necessitating him to apply for poor relief. But feeding 12 children with poor relief would not have been easy, and before long Abraham’s father was working as a farm labourer, maybe even longer hours than before and so less time at home in his role as a father. Before long, Abraham was caught up in the criminal dealings of the Preston Thieves, and he was arrested on a number of offences including larceny. Finally in 1850 he was sentenced to 7 years transportation for stealing a cotton sheet; most likely taken to keep him warm at night. At the young age of 22 after years on the street, Abraham endured the conditions of Millbank Prison and prison hulks until he was sent to Tasmania 2 years later in 1852. Yet he must have turned a new leaf, some would say, or as I would put it…he was glad to be away from the poverty and cold of the streets and wanted to make good for himself. Either way, he earned a ticket of leave before leaving England, and when arriving in Tasmania (or Van Diemen’s Land as it was then), he didn’t have to wait long for a conditional pardon. Then, of all the jobs to be given, Abraham became a police constable and instead of causing riot on the streets, he was now helping to subdue it. I think he would have made a “top cop”…empathy all the way (I hope)! So was this the norm? Not even close. Sadly most children died and their names will never be known…Abraham was one of the “fortunate” ones. Yet we also are fortunate for his contribution to those he helped along the way, and his descendants can be thankful and proud. Abraham was not unlucky in his childhood, he was a victim. And without the tools and traits that any capable parent gives their child, he really had little chance at a better life. I have truly enjoyed getting to know you Abraham and what a privilege it is to tell just a portion of your amazing story! I was reminded recently about the importance of Oral Histories; that is, recording the historical account of someone’s past by interviewing him or her. Not only do we get the memories of our loved ones on tape, but we also get the memories of their emotions in the retelling. These emotions can tell us so much; if they laugh when recounting a story…we know it is one that brought them joy at the time. If they become quiet, or resist giving too much detail…perhaps we can assume that there is something about that particular memory or time that causes concern. What is fantastic about oral histories is that we will always have them for future retelling, and so we can do this with accuracy. How many times have you yourself tried to remember what your grandmother, or your father, told you about a certain time in their lives? How many stories can you recount from family traditions that you know are probably a little inaccurate, and so you yearn to know what really happened. Although the technology today means we will have more than enough oral histories in the future of genealogy, will those oral histories be telling us what we want to know? We have to ask the right questions to get to the heart of our loved ones memories, and in turn, our ancestors’ lives. Oh how I would love to have the voices of my grandparents on some kind of medium today; how I would love to hear them talking, reminding me of my childhood visits to them; how I would love to hear them talking of their own childhoods, their hopes and dreams and if those ever transpired into realities. I remind myself continually that I need to record my own parents’ oral histories; I need their oral legacy, a keepsake of words and voices that will never cease to evoke the love we shared as a family. Researching online is great; you virtually have the world at your fingertips and within a few keystrokes what was once a brick wall becomes a fantastic find. Recently my research led me to the south of Australia in Victoria, and specifically to the small towns of Eganstown, Echucha and Nathalia. One of the families I am looking at lived for a time in each of these towns after finally settling in Nathalia; a name I wasn’t at all familiar with. After asking my best friend Google for some help and scrolling through her answers, I chanced upon the Nathalia Genealogy Group and my research took a new turn when I found they had five publications in which two of my families were featured. Of course I had to order the books for my library and when they arrived I was jubilant to see some old photos of some of the ancestors I had come to know, as well as brief biographies about their emigration and life in Victoria; little gems of information to pass on to my client. It reminded me that these out of place and obscure repositories are where most of these little gems are found; the large databases are unarguably important however they mostly contain the “exterior” of the story, a few of the leaves for your tree. But it’s places like Nathalia Genealogy Group, or local historical societies, which more often than not have the crux of your story, the heart of your hidden past, “the bark and roots of your tree”…and sometimes these gems have been gathering dust for years on their humble shelves…waiting for you to polish them once again. "The more you know your history the more liberated you are"
Well - I don't know if it's something in the water, but I am booked full for months with Research Projects. What I value the most at present is the return of past clients who want me to uncover the ancestry of other lines of their family tree. This is validation that what I am doing as a professional is respected and I guess worthy. In this ever evolving world of genealogy - one never knows what a client expects when they have their ancestry done - and therefore I can only try to keep up with the demand, while also producing quality projects and upholding genealogical standards. I am thoroughly enjoying working alongside my colleague Ralf Stullich in Hamburg again - we have built a strong working relationship across the oceans and I am finding more and more clients coming to me with European backgrounds. As soon as I hear "German" or "Prussian" I know I can turn to Ralf at Beyond History for excellent research work.